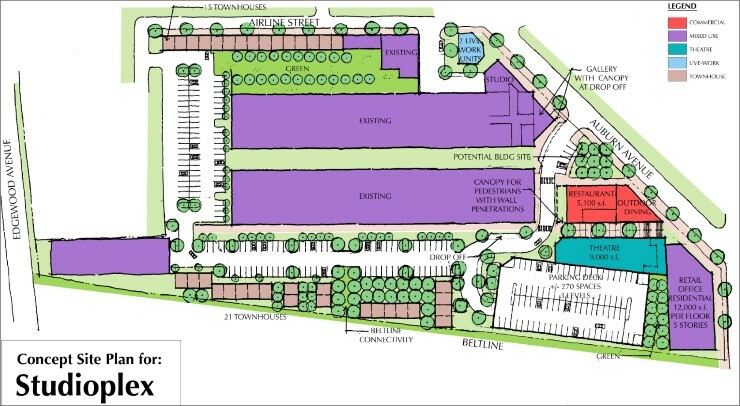 TSW and Smith Dalia Architects were retained by the Orinda Corporation and their partner, Historic District Development Corporation, to prepare a master plan for repositioning StudioPlex on Auburn. Originally conceived after the 1996 Olympics as a combination of mixed-income rental housing and work studio spaces, StudioPlex failed to live up to its potential. Instead, the site languished as the surrounding Old Fourth Ward neighborhood blossomed with new homes and businesses. 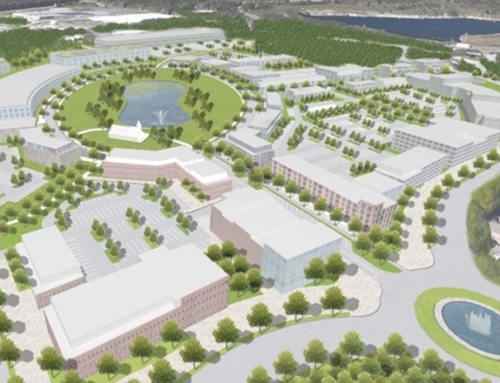 The master planning effort focused on repositioning the existing StudioPlex building by upgrading units and creating opportunities for mixed-income, owner occupied housing. 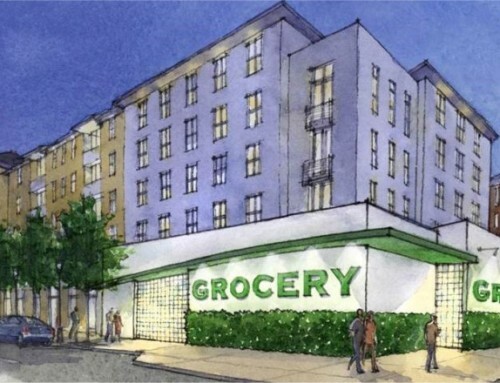 Existing commercial spaces were recommended for renovation and improved management, while the existing “shed” along Auburn Avenue was programmed for conversion to a restaurant. 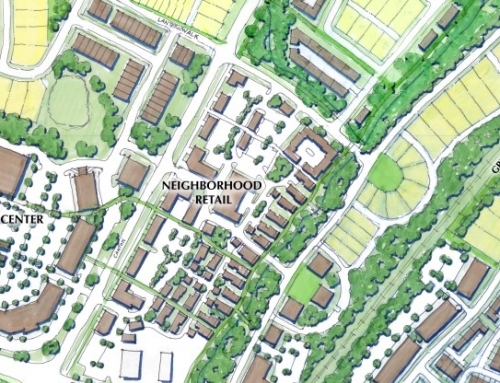 Around these existing buildings, new mixed-use and residential buildings were planned to tie StudioPlex into the surrounding urban fabric, while also creating increased density around a newly-proposed transit stop at the site’s northeast corner. Along Irwin Street, the front door to the site, a mixed-use building housing a theater, retail space, and above-shop housing was planned to provide an anchor for the development. 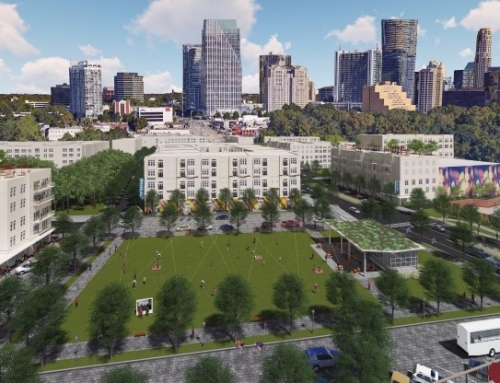 TSW also prepared a shared-parking analysis to demonstrate that the phased development’s parking program would not burden the surrounding neighborhood as the site was constructed. 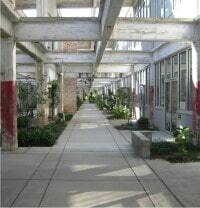 Following completion of the master plan, TSW’s Landscape Architecture Studio was retained to redesign the central open-air corridor within the existing StudioPlex structure. The design focused on creating private spaces for corridor-fronting units, while still creating a unified palette of planting materials to tie the space together and make the space more pleasant for future residents and businesses. TSW also provided design services for streetscape along the site’s edge. Concurrent with the landscape design for the existing building, TSW’s Planning Studio successfully worked with the City of Atlanta, Atlanta BeltLine, Inc., and the surrounding neighborhood to rezone the property to a zoning designation that would support the long-term development of new buildings on the site. 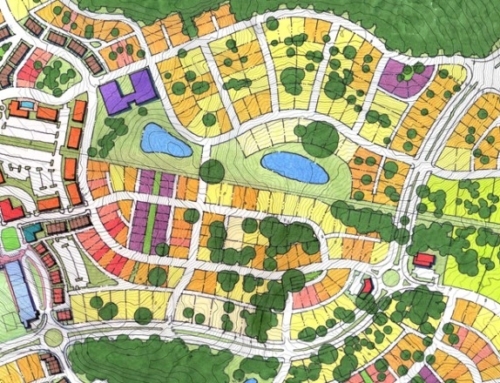 As part of this effort, TSW crafted zoning conditions necessary to provide the developer with the flexibility to modify the plan to respond to market conditions, while also providing the City and the surrounding neighborhood with a level of comfort that the project would be developed in a manner consistent with the urbanism of the master plan.